Think outside of the Blue box, once you have this Mac & Cheese you will never go back to blue box with the orange powder. 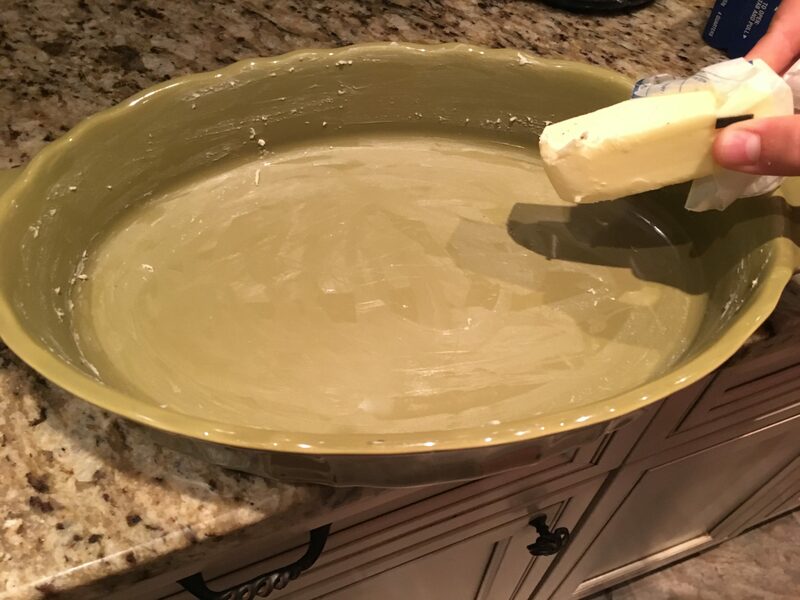 Butter a large casserole dish and set it aside. 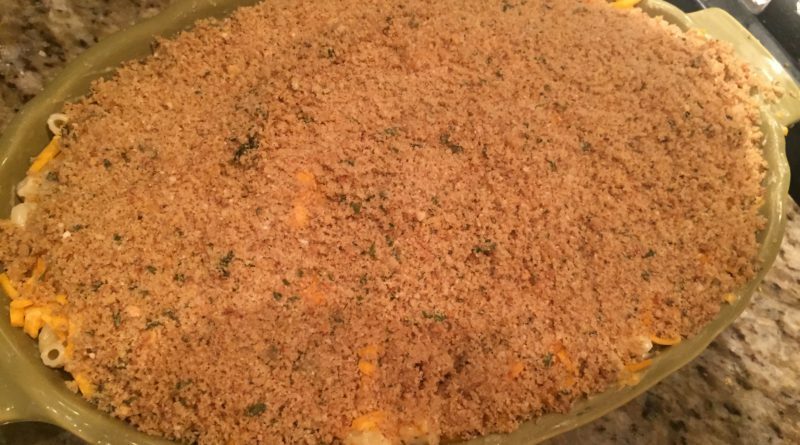 Dump into the casserole butter dish. 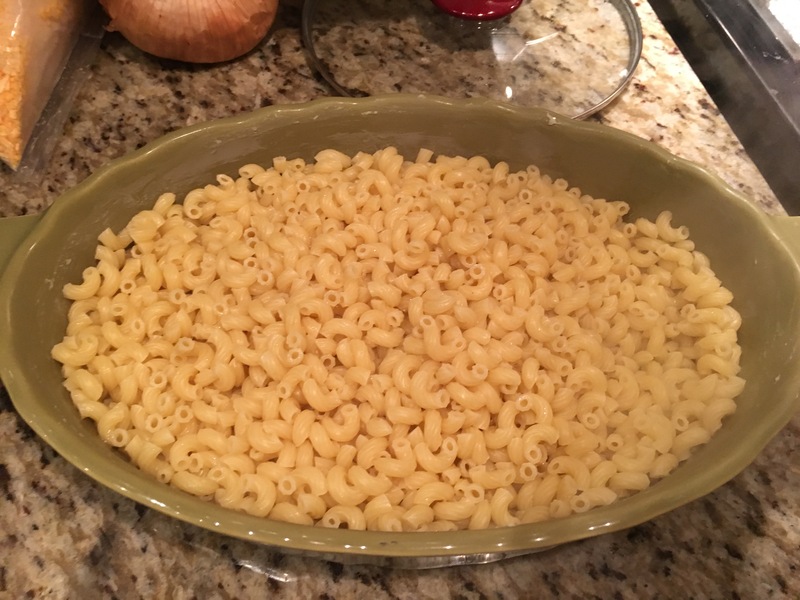 Use the same pan that the macaroni is cooked in. Melt 3/4 of a stick of butter. Add diced onions and cook on low until the onions are clear. 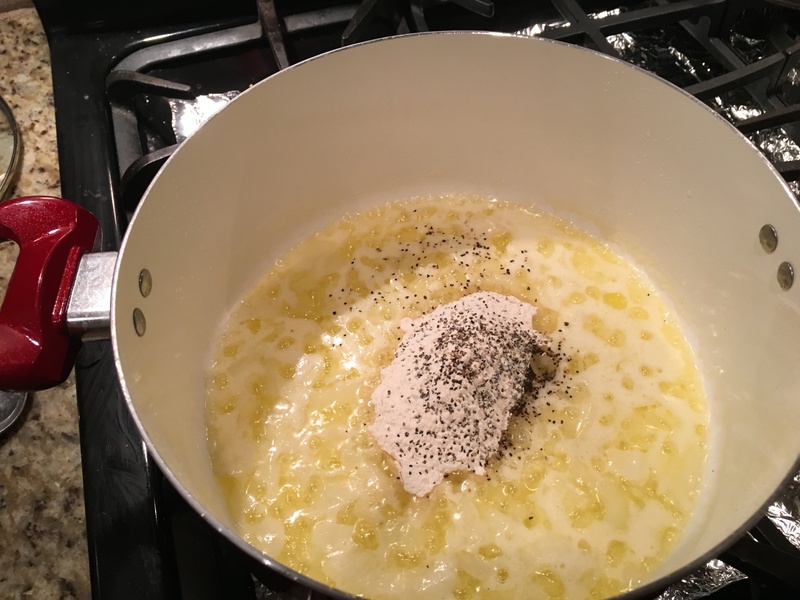 Add flour gradually, stirring with a whisk or a fork to make a white roux. Gradually pour milk into the roux and continue stirring until it has thickened. Continue stirring in 2 cups of the 4 cups of cheddar cheese, stir until cheese is melted. 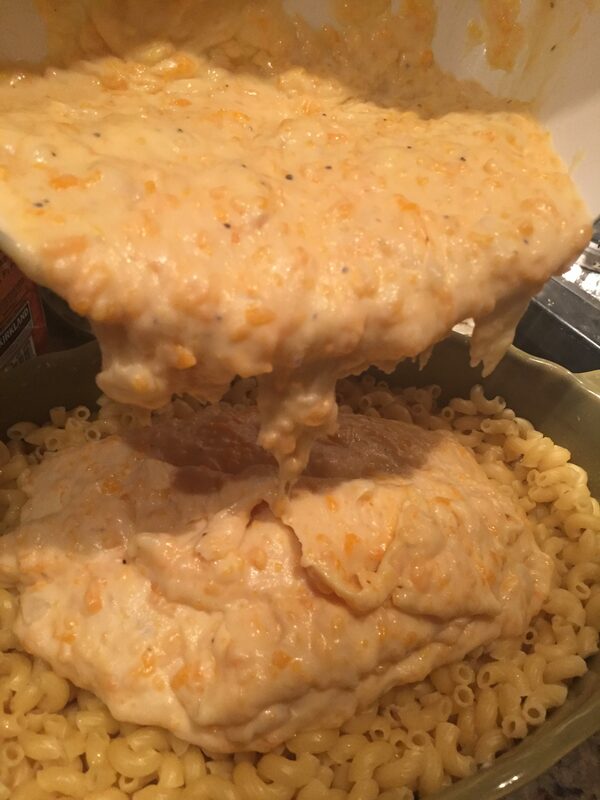 Pour cheese sauce over the macaroni that is in the casserole dish and mix well. 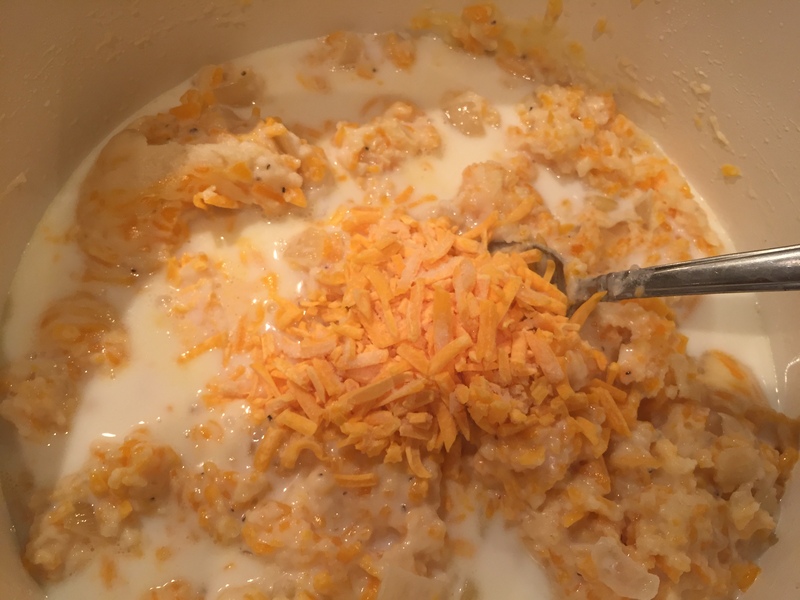 Stir in 1 cup of cheddar cheese into the macaroni with the cheese sauce. 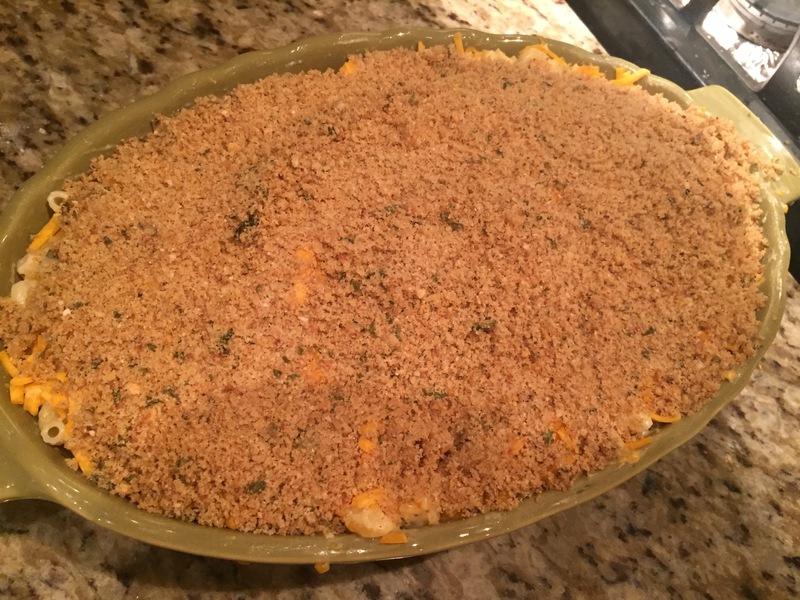 Cover the top of the macaroni with the last 1 cup of cheddar cheese. Wipe out the pan that you made the sauce in with a paper towel. 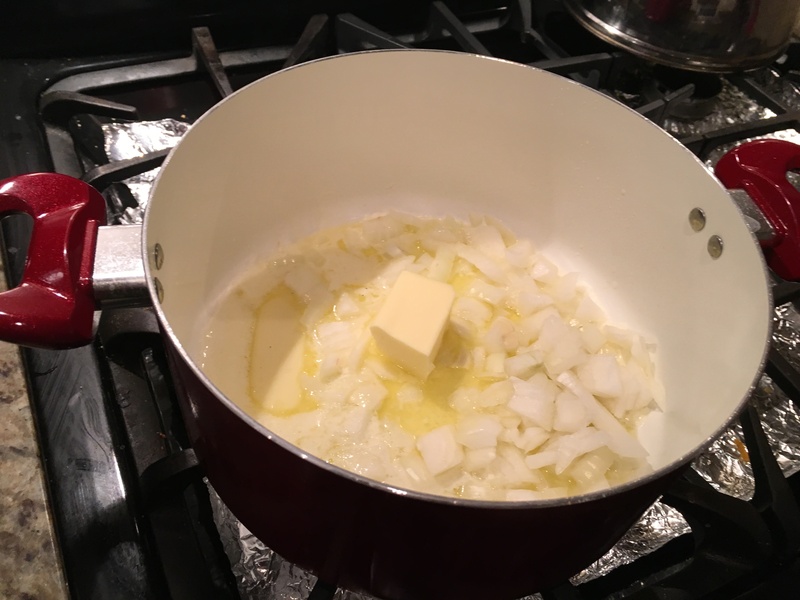 Melt the remaining 1/4 butter in the pan. 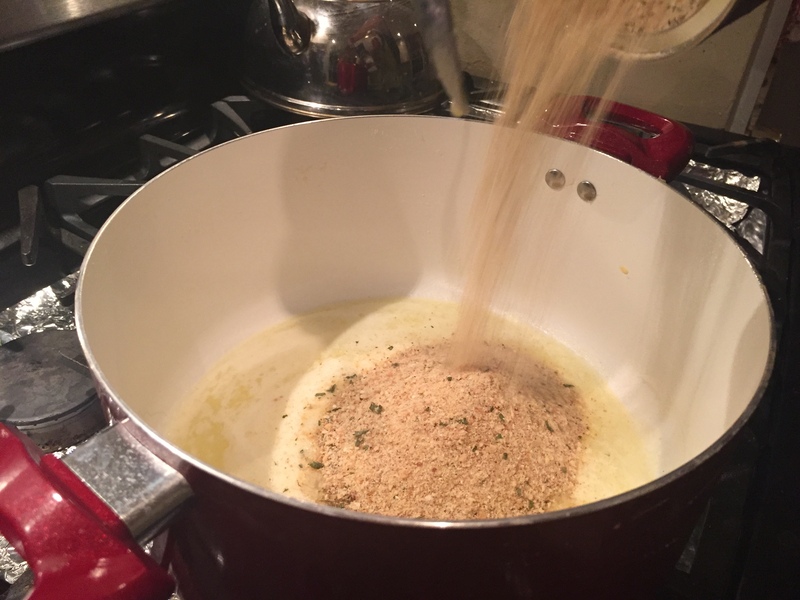 Turn off burner and Stir in 2 cups of Italian Bread crumbs. 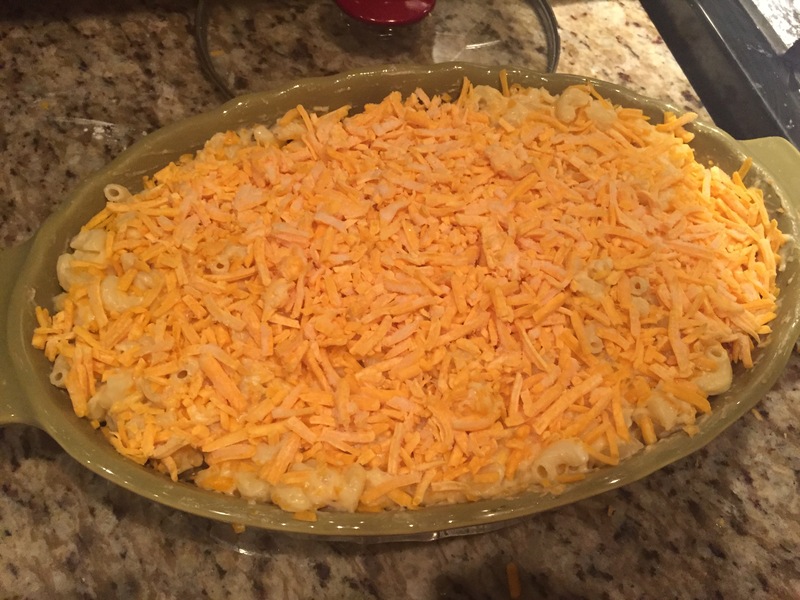 Spread over Mac and Cheese. 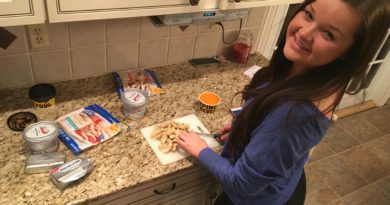 *Tip you can cut the recipe in half and serve as a side-dish. 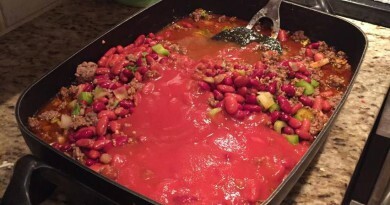 Suggested Main Dishes You May want to try with this recipe. I am typically to running a blog and i really recognize your content. The article has actually peaks my interest. I’m going to bookmark your website and preserve checking for new information. Howdy! 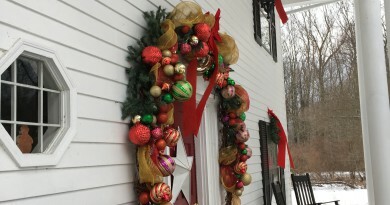 I just wish to give an enormous thumbs up for the good info you may have here on this post. 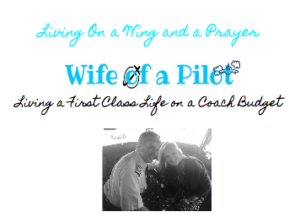 I will be coming again to your blog for more soon.